Seamless gutters direct the rainwater from the roof and away from your home or building. Without gutters on your home, rainwater running off your roof would continue to settle alongside your home’s foundation causing deterioration and compromising the soundness of your block foundation. 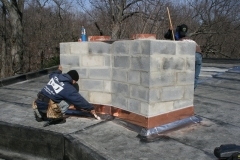 A & J Reliable is the leading installer of seamless gutters throughout the tri-state area. 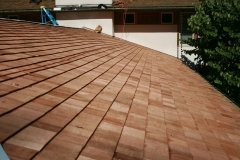 As the most reliable and trusted seamless gutter contractors in New York and New Jersey, we ensure quality craftsmanship and unrivaled services for every project. Experiencing Issues With Your Gutter System? Back Flow Problems. Water gets behind the gutters and causes damage to your fascia boards and soffit system. Water Stands in Gutter. This is caused by uncleared gutters or gutters not being pitched properly. Overflow Problems. Gutters not cleaned cause soil erosion, landscape damage, foundation problems and basement problems. Unfit, Undersized Gutters. Just can’t handle the water capacity. 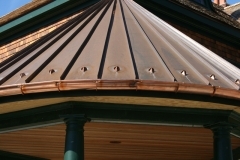 The answer to your gutter problems may be seamless gutters. 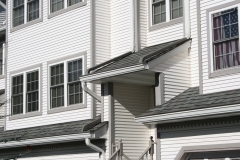 We have years of expertise when it comes to aluminum gutters and even custom seamless gutters. Our team at A & J Reliable can walk you through the remedies to the above water problems. Call toll-free 877-492-9014, Extension #10 for a fast, convenient appointment to protect your NY and NJ home’s investment. Traditional gutter systems were originally only sold in sections, making it very easy for water to eventually leak through the seams. This would lead to blockage and backup, and increase the likelihood of mold and mildew formation. One of the best advantages to seamless gutters is the fact that they have no seams and are essentially leak-proof. 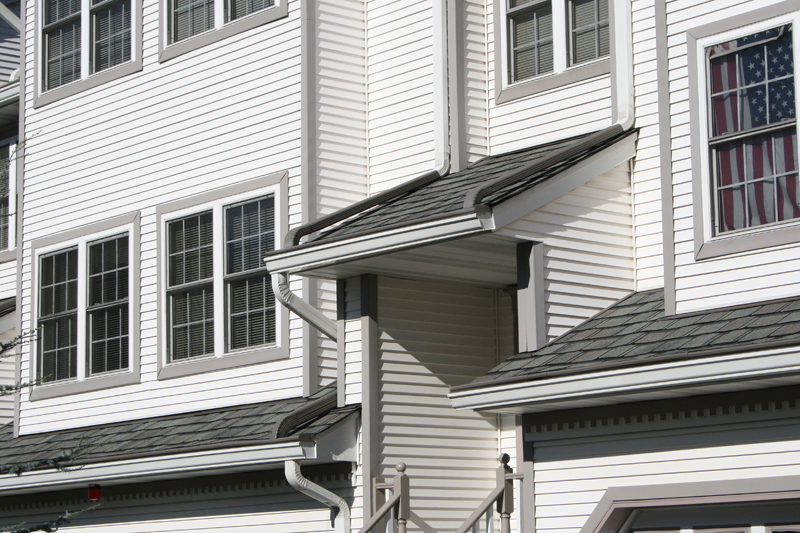 Seamless gutters also offer even additional protection to your home or building’s foundation. They can be made out of some of the strongest metals – including copper, aluminum or galvalume steel. Due to the many great benefits of seamless gutters, they’re the recommended solution for anyone who may be experiencing issues with their current gutter system. Traditional gutter systems are prone to debris accumulation. Leaves and twigs will collect in the gutters and can cause backup or overflow issues if not regularly cleaned. Since seamless gutters have no seams, less maintenance and cleaning is required for upkeep. A & J Reliable’s expert gutter crews include all of the above in their gutter procedures. A & J Reliable has over a century of combined experienced in seamless gutter installation. For more information on New Jersey and New York seamless gutters or any of our seamless gutter services within the Tri-State Area, please contact us or simply fill out the form below. Our team will be readily available to answer any questions you may have to better protect and improve your property.